Below I have listed 8 great resources to put in your pocket for those days when you've run out of Spanish lessons and need something for your kids to do in a pinch. I like to have a list of "go-to" activities because it seems that--despite my best intentions--I never have as much material planned for the week/month as I would have liked. Usually by the end of the week the kids and I are both ready for a Spanish activity that requires less interaction. The resources listed below are activities that require little or no active participation. Most DVDs have an option in the menu under languages to play the DVD in Spanish. If you want to be nice, you can also put on English subtitles, but I usually make my kiddos suffer through trying to understand the Spanish. I try to pick movies that they are very familiar with, so they already understand the story. HULU is a free website where you can watch full TV episodes. 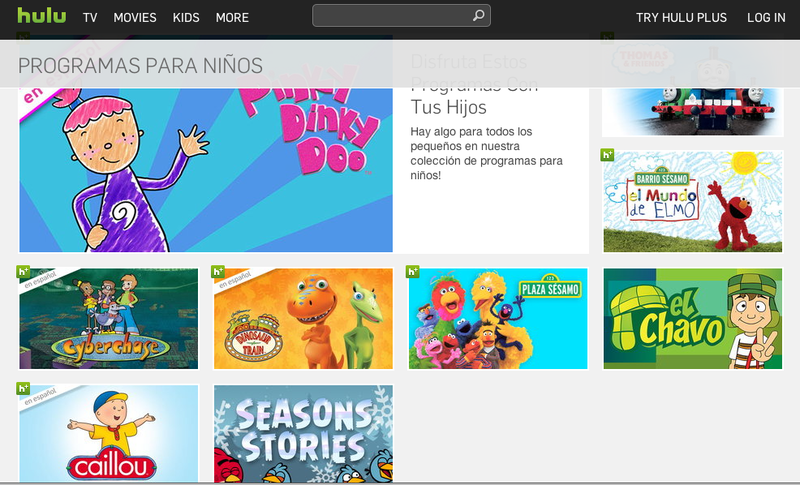 I found Sesame Street, Dinosaur Train, Thomas the Train, Cyberchase, and several others available in Spanish. 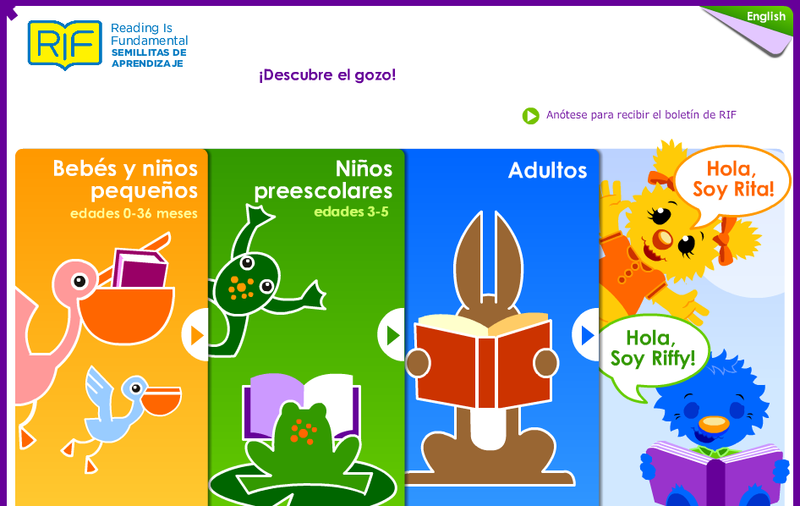 Click here to access Spanish kids programs on HULU. This site features animated stories for the very young and early elementary aged children. Even though the stories are organized into different age groups, any aged Spanish language learner could benefit from listening to the stories. Click here to access the stories geared towards very young children. Click here to access the stories for early elementary children. I can't say enough great things about this program from GPB. My kids love it and have watched every episode. The episodes range in length from 15 to 30 minutes and teach basic Spanish. Even though the episodes are completely in Spanish, they are created so that someone who doesn't know any Spanish can understand the story. Each episode builds on the vocabulary/concepts covered in the previous one. Click here to access Salsa TV. From the VMe website you can access full episodes of Planeta Feroz, a show about nature. Click here to access Planeta Feroz. 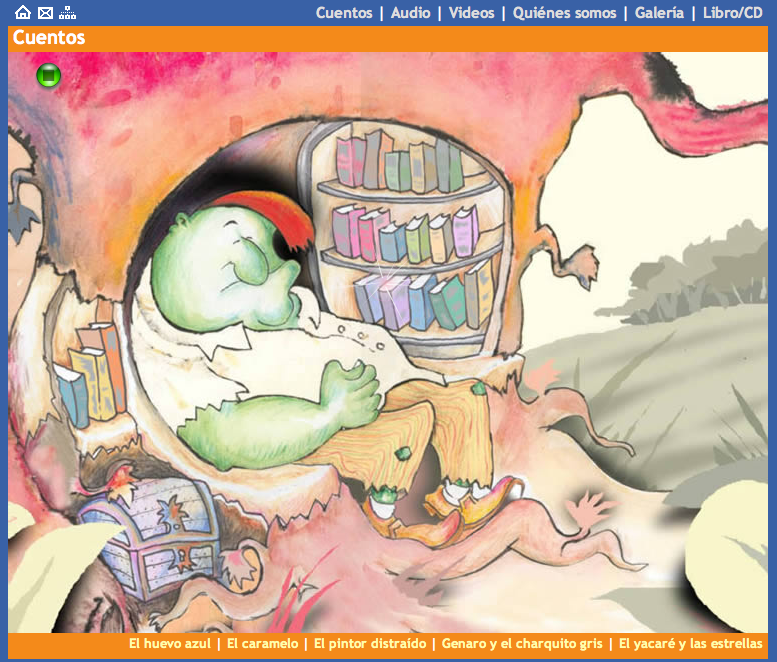 Another site with animated stories; however, on this site children must interact with the stories. For example, one of the stories mentions Papá and you must click on the dad in order for the story to continue. Click here to access Clic Clic. Youtube has complete episodes of this cartoon in Spanish. 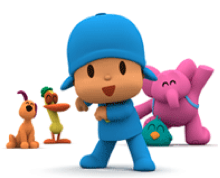 Click here to access Pocoyó through Youtube. Another interactive story website. This site also has videos of some of the stories, although I couldn't find a way to make them full-sized. 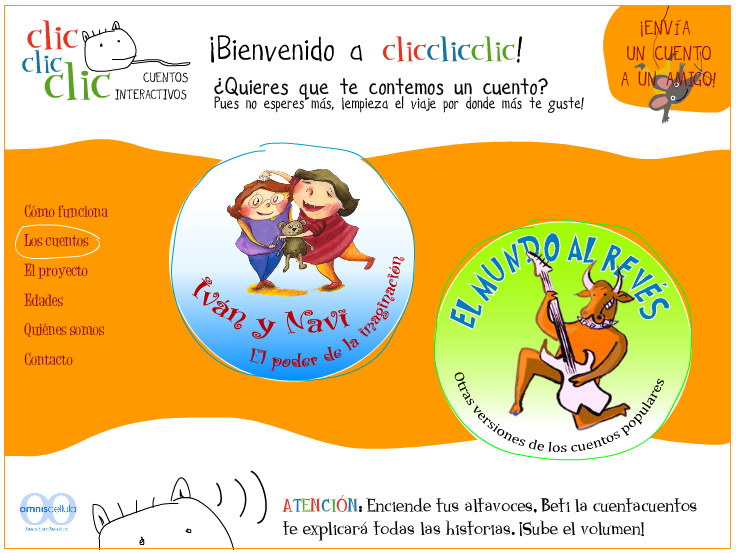 Click here to access the Bianfa Cuentos website.